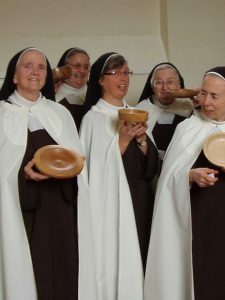 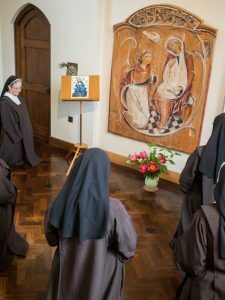 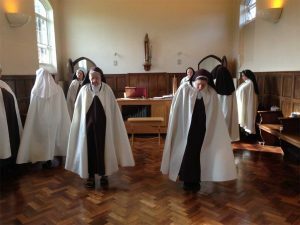 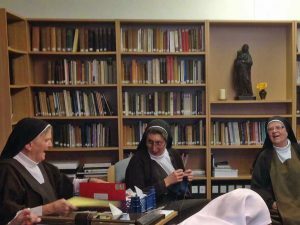 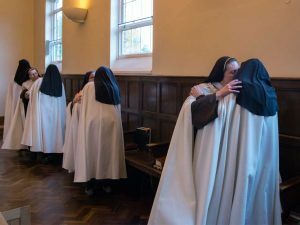 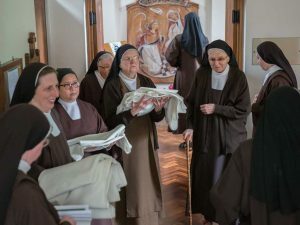 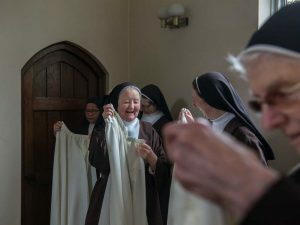 We are a community of Discalced Carmelite nuns, seeking to make the total gift of ourselves to God through a life of prayer undertaken for the whole world. 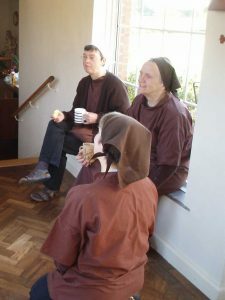 We are enclosed, which means that we do not go out except for essential reasons. 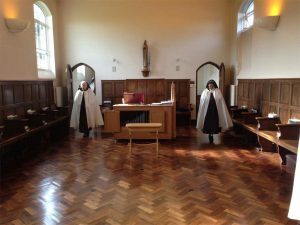 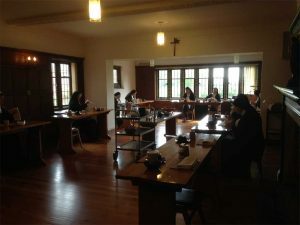 Our apostolate is one of contemplative prayer lived within a monastic enclosure, and that is our primary mission. 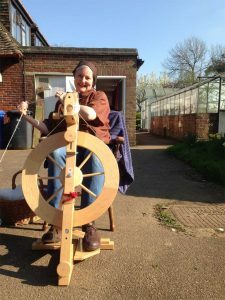 Ware Carmel is set in five acres of land within Ware Park, and looks out over green fields and a wide horizon. 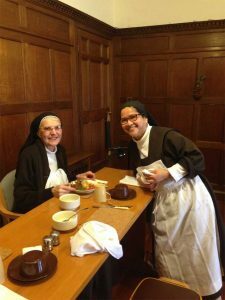 As hermits living in community we support one another in our vocation by example, presence, encouragement and simple sisterly friendship. 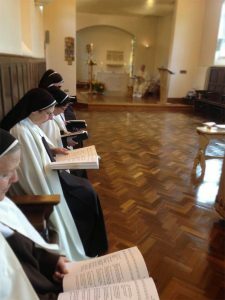 Here we put the Gospel call to love our neighbour into daily practice. 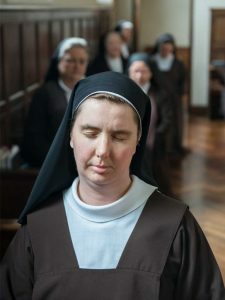 This helps to root our prayer and self-gift in the concrete reality of human relationships, where loving kindness and frequent forgiveness reveal the face of God to us in our sisters. 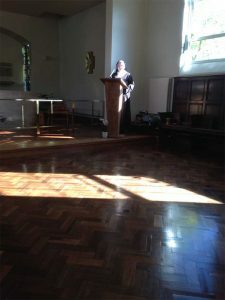 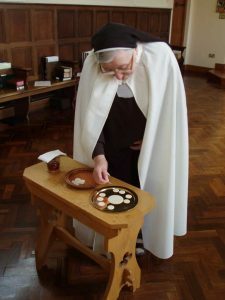 Our daily life is a balance of work and prayer, lovingly undertaken in service of others and in a climate of silence which fosters our focus on God alone. 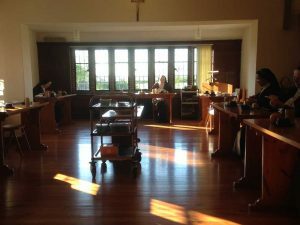 Each day we spend two hours in solitary prayer, and come together for Mass and for the Divine Office. 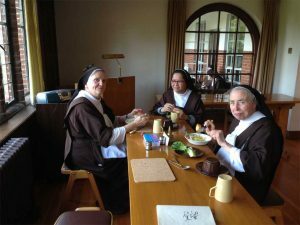 We eat our meals together in silence, and share a time of recreation each evening where we can talk and listen to one another. 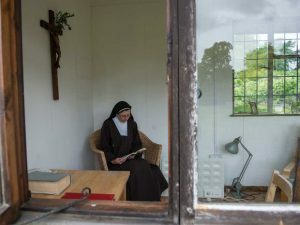 We nourish our inner life through spiritual reading and work undertaken in prayerful solitude. 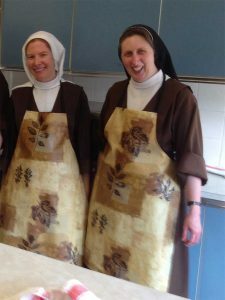 The community runs a small altar bread business and this is our main remunerative work. 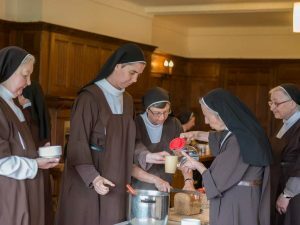 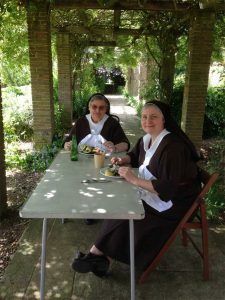 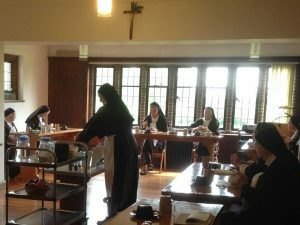 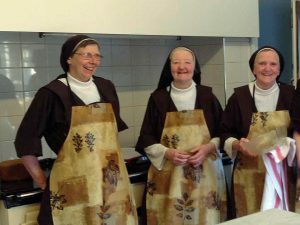 The rest of our time is spent in manual work, and all the ordinary things that make up life together – cooking, cleaning, gardening or caring for those who need extra support at the beginning or end of their Carmelite lives. 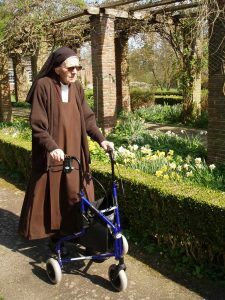 Through both the ordinariness of our life and its intense focus, we seek to offer ourselves unconditionally to God. 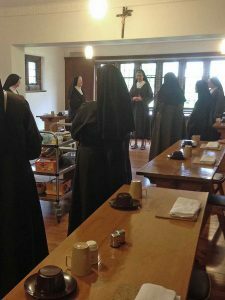 St Thérèse of Lisieux described our vocation as the call to be ‘love at the heart of the Church.’ In this hidden life of prayer, we open ourselves to the God of Love, as an unceasing prayer for the whole human family and all the needs of the world.